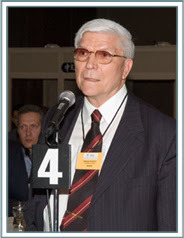 Former BIS Sectional Committee Member and Dr. S.P. Vivek Chandra Rao, Vice President - Occupational Health, Hyderabad Industries Limited is highly questionable since no inputs were taken from trade union, civil society group working on environmental and occupational health. Even the guidelines of this manual has been violated because essential Maps to be provided are misleading so is the case with land use map. material and manufacturing process cannot be mitigated. Adverse impact due to fugitive asbestos emissions in the work area and in the ambient area, impact due to cutting of asbestos sheets, impact due to grinding of asbestos solid waste in to powder for reuse and impact due to point source of emissions on the ambient environment cannot be addressed. It is mentioned in the manual that vehicles used for transport of asbestos waste should be cleaned thoroughly by means of vacuum cleaner or other dustless methods, before it is used for other purposes. The atmosphere around it cannot become safer by any method. According to the manual the occupational health surveillance program is to address pre employment health examination and periodic health examination. Every employee on his appointment for a job with a possibility of exposure to airborne asbestos shall get the pre-employment medical examination done within stipulated days of his employment, by the employer. Scheme for health surveillance shall include exposure data at each pertinent work place, periodical examination of workers, X-ray examination for radiological changes, lung function test for restrictive disorder and clinical examination for early detection of signs of asbestosis. These tests are to be recorded for pre-employment, periodic surveillance and at cessation of employment as per the concerned state government regulations. 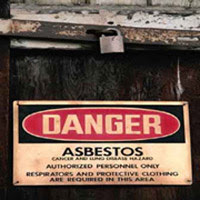 for all the employees potentially exposed to asbestos dust and it is to be provided free of cost. 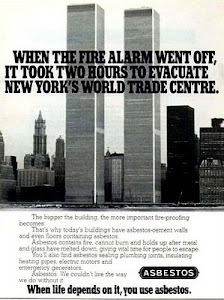 The manual makes a claim in its risk analysis that "Although asbestos industry will not cause any disastrous emergencies, control measures due to accidental discharge, spillages of asbestos during transportation, storage and manufacturing process is to be assessed." 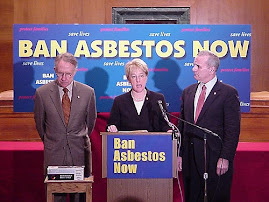 Such contentions are clearly asbestos driven else how was public health and enviro-occupational disaster caused due to asbestos exposure ignored. Public consultation should have happened as per the procedure laid down in EIA Notification 2006. The issues raised by the public and response of the project proponent should have been furnished in a tabular form. This was required but has not been done. Clearly, Expert Appraisal Committee has erred in not factoring in the environmental cost benefit analysis of the Balmukund asbestos company's project. 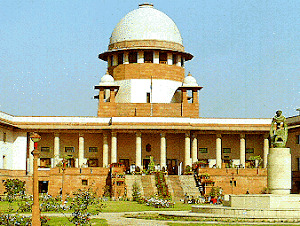 Had they done so environmental clearance for the project could not have been given. In such circumstances, villagers have decided to stop the killer asbestos plant for good.